This managing partner - law firm sample job description can assist in your creating a job application that will attract job candidates who are qualified for the job. Feel free to revise this job description to meet your specific job Job Duties and job requirements. A managing partner makes the law firm successful by focusing its people and their efforts on serving clients. Accomplishes law firm human resource strategies by determining law firm structure; establishing, communicating, and enforcing values, policies, and procedures; implementing recruitment, selection, orientation, training, coaching, counseling, disciplinary, and communication programs; planning, monitoring, appraising, and reviewing job contributions; establishing compensation strategies. Establishes law firm organizational strategies by contributing opinions and substantiation to the firm's strategic thinking and direction; creating functional strategic thinking and direction; establishing functional objectives in line with organizational objectives. Establishes law firm operational strategies by evaluating trends; defining critical measurements; establishing production, productivity, quality, and client-service strategies; evaluating service results; defining systems objectives; accumulating resources; establishing change strategies. Establishes law firm financial strategies by forecasting and anticipating requirements and trends; distributing monetary resources; evaluating results. 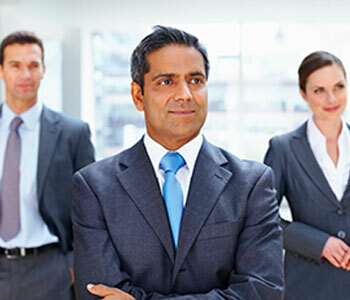 Creates understanding and positive image of the law firm by building relationships; maintaining credibility; providing information to the legal community, media, government, and the public; building legal staff and employee commitment to the firm and the community; providing the firm's fair share of pro bono representations; following other American Bar Association suggestions and guidelines. Generates revenues by attracting and pleasing clients; obtaining new referrals from existing and past clients. Increases revenues by exploring new and additional services; developing and presenting cost-benefit analyses of new and additional services to Senior Partners. Maintains law firm stability by establishing and communicating a law firm value system; enforcing ethical legal practices; inspiring service excellence. Prevents disruptive conflicts by observing and resolving disagreements among specialty groups and between service areas; remaining objective; identifying root causes of internal problems; implementing pragmatic solutions; promoting harmonious work relationships. Updates job knowledge by creating state-of-the-art practices within the firm; providing leadership in educational and professional organizations; being sought as a subject-matter expert; contributing to professional publications; maintaining personal networks. Job Seekers: Search Managing Partner - Law Firm Jobs and apply on Monster now.